Goa is always pictured as a golden beach destination. Here - around 40 beaches on the palm fringed coastline provide the backdrop for ultimate recreational opportunities - including relaxation. And a better way to relax in Goa comes to the fore through its homestay experience. Away from the crowd - the homestay here allows a tourist to get into the skin of laid back Goa and enjoy its serene aura serenading their soul. 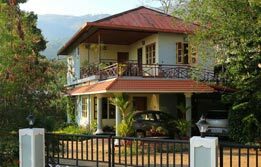 Through Golden Goa home stay tour - tourists can have wonderful and value added holiday experience in this holiday capital of India. Upon arrival at Mumbai - meet our representative who assist the transfer to the home stay here. Check in and relax inside the home stay at Mumbai. After breakfast - begin Mumbai city tour. The first landmark here is Gateway of India. From here - tourists board a catamaran for Elephanta Caves. 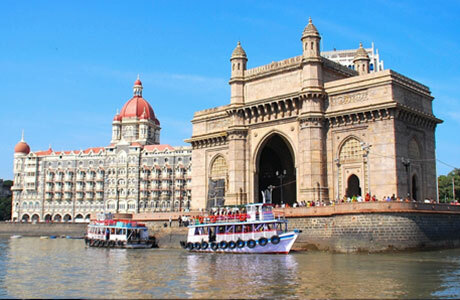 This one hour boat ride takes tourists through the world heritage site of Elephanta known for immaculate cave temples. 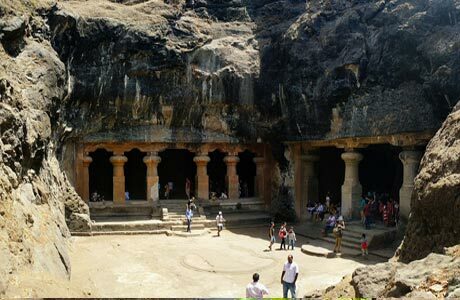 After spending half day in marvelling the heritage caves here - move towards the Mumbai city tour. Visit the Prince of Wales Museum - the first landmark here in Mumbai. It was built between 1904 and 1914 to commemorate the visit of the then Prince of Wales. In 1990s the museum got rechristened on the name of Maratha hero - Shivaji as Chhatrapati Shivaji Maharaj Vastu Sangrahalaya. 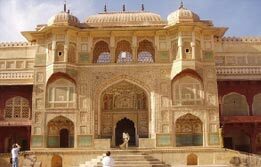 This museum - due to its priceless collection of antique heritage featuring miniature paintings and ancient sculptures is considered as one of the best in India. Visit Hanging Gardens atop the Malabar Hill for a great Mumbai city view. Next in Mumbai is a drive through the posh residential area of Mumbai on Malabar Hill. Continue Mumbai city tour via a visit to the renowned city laundry called Dhobi Ghat. In the evening - visit Mani Bhawan where belongings of Mahatma Gandhi are preserved. After dinner - board the overnight train to Goa. On your morning arrival in Madgaon Railway Station - you will be transferred to the Homestay accommodation here.Located away from the crowded Goa - these homestays provide value added experience here.Laced with the uniquely laid back Goan spirit - the accommodations are surely on a rising trend. 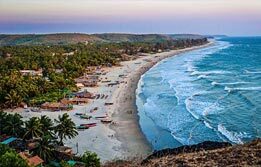 The hosts - with their gracious approach take tourists through Goa that remains untouched with the conventional itineraries. Surely this is one great option to avail in Goa. After check in and relax - enjoy the sumptuous breakfast in company of the hosts. Later this day - begin the stroll around the beaches of Goa. Overnight in Goa. 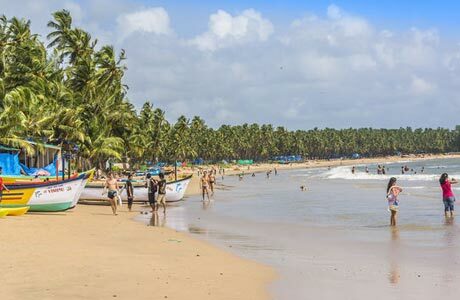 After breakfast in homestay - begin a tour to North Goa - boasting the most developed and diverse coastline of the state.Here - tourists get to feel the verve of contrasting beaches - from crowded to quiet.Candolim and Calangute are by far the most tourist populated beaches in North Goa. Further north - two other prime beaches known as Anjuna and Vagator offer mesmerizing experience for tourists. These beaches are home to hippies and provide a diversified backdrop for tourists. Here - they get to feel the real absorptive side of the state evolved as a melting pot of subcultures. 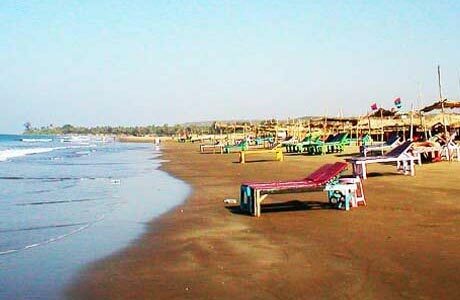 Further north of Goa allows tourists to visit the quieter beaches of Morjim - Mandrem and Aswem. 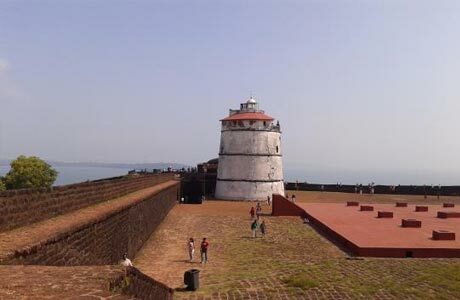 Visit Fort Aguada - a classic Portuguese Fort located on the headland overlooking the mouth of Mandovi River. Water sports like paragliding can be availed easily here. 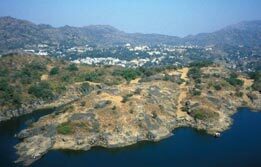 Optional way to discover bounties of Goa is to enter the natural hinterland near North Goa. The inland area of Bardez - Pernem - Bicholim and Satari provide great views of villages - farmlands and scattered temples. After this active day - keep evening free to visit the famous casinos and experience the nightlife of Goa. Overnight in homestay. 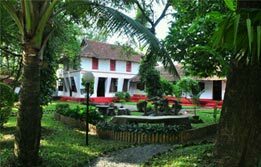 Spend your fourth day of Golden Goa Homestay Tour by visiting Colva. This is a great day out for adventure lovers. Amidst the splendid backdrop of Colva beach - adventure enthusiasts can enjoy paragliding and banana boat rides. Plentiful palate of freshly cooked sea food can be enjoyed at Goan beach shack. A visit to Old Goa is a splendid delight of this day. 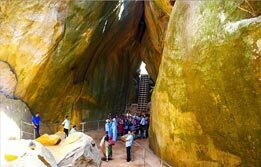 This finest attraction of Goa displays the laterite Churches and Cathedrals. This part of Goa is laced in Portuguese heritage and during its heydays - this part of Goa rivaled Lisbon in magnificence. This historical attraction of Goa is undoubtedly the premier reasons to visit this beach paradise. Visit Se Cathedral - Church of St. Francis of Assisi - Chapel of St.Catherine - Basilica of Bom Jesus - Ruins of Church of St. Augustine. After this active day - rest in the home stay. Today visit Morjim - a village situated in north Goa in the Pernem district. This village hosts a variety of birds and is a nesting site for Olive Ridley Turtles. After this rare experience in Goa - visit flea market at Anjuna for shopping. In the evening - head out to the Casinos for some leisure. Overnight at home stay. Day six is meant to relax in Goa. 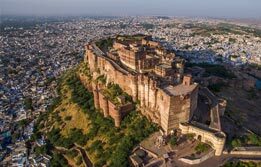 Tourists can choose to spend their leisure time at the homestay or optionally can bask in the glory of Ayurveda therapies. In Goa - one can easily avail Ayurveda treatments for a complete rejuvenation experience in Goa. Check out Goa for in time departure towards onward destination. Room on sharing basis at each place as per itinerary with daily breakfast for total 4 nights. Hotel check in / out 12:00 hrs.